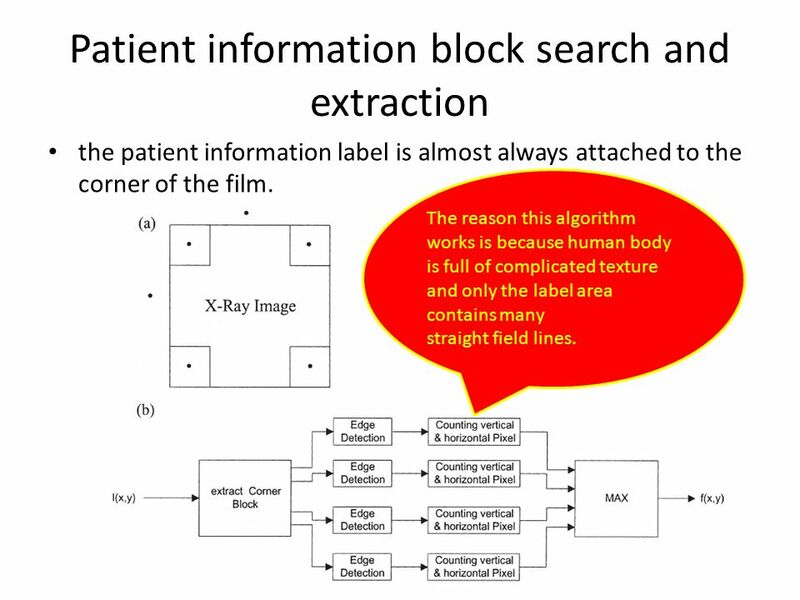 Patient information extraction in digitized X-ray imagery Hsien-Huang P. Wu Department of Electrical Engineering, National Yunlin University of Science. 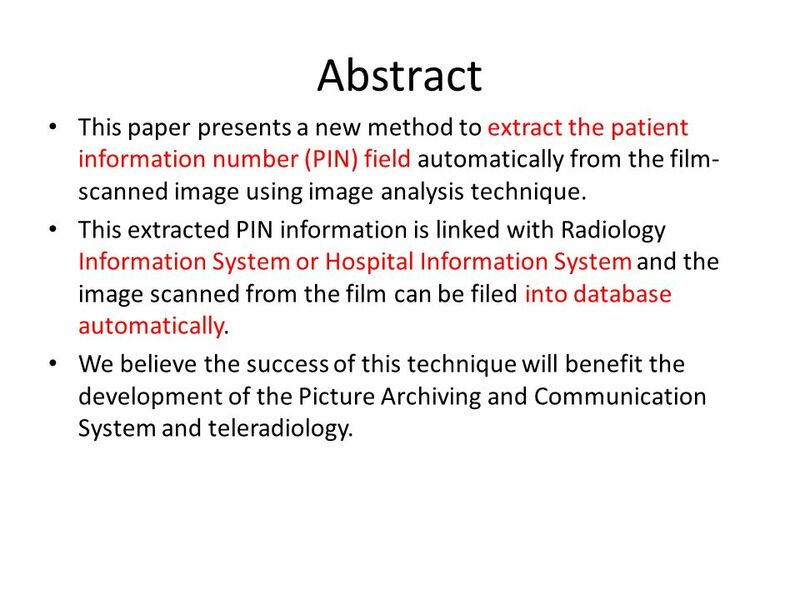 2 Abstract This paper presents a new method to extract the patient information number (PIN) field automatically from the film- scanned image using image analysis technique. 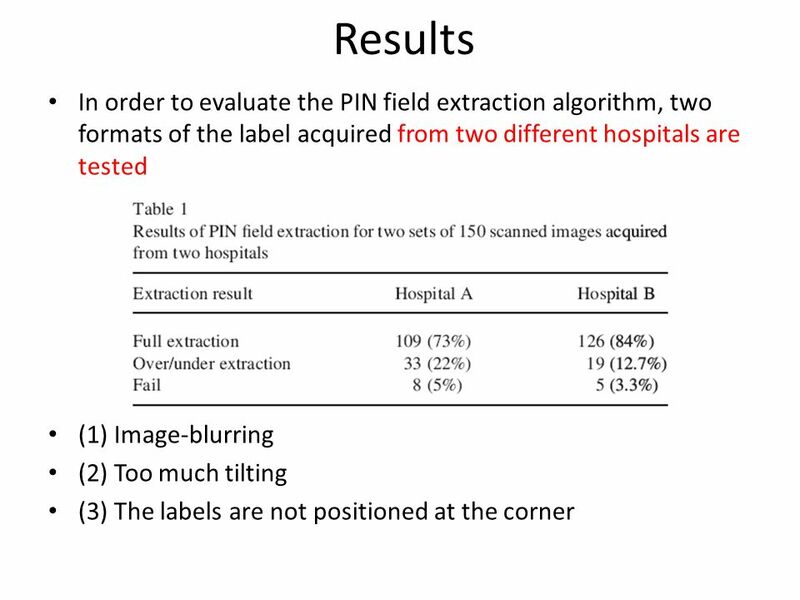 This extracted PIN information is linked with Radiology Information System or Hospital Information System and the image scanned from the film can be filed into database automatically. We believe the success of this technique will benefit the development of the Picture Archiving and Communication System and teleradiology. 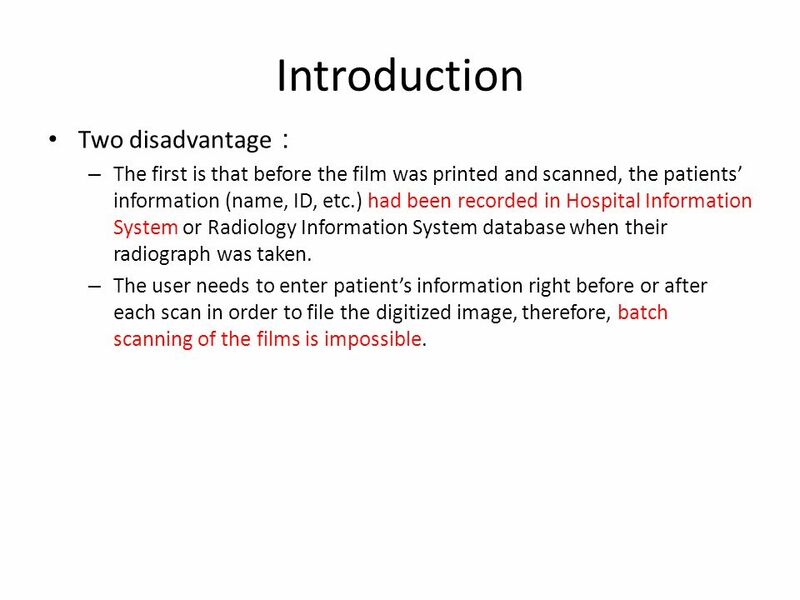 3 Introduction Two disadvantage – The first is that before the film was printed and scanned, the patients information (name, ID, etc.) 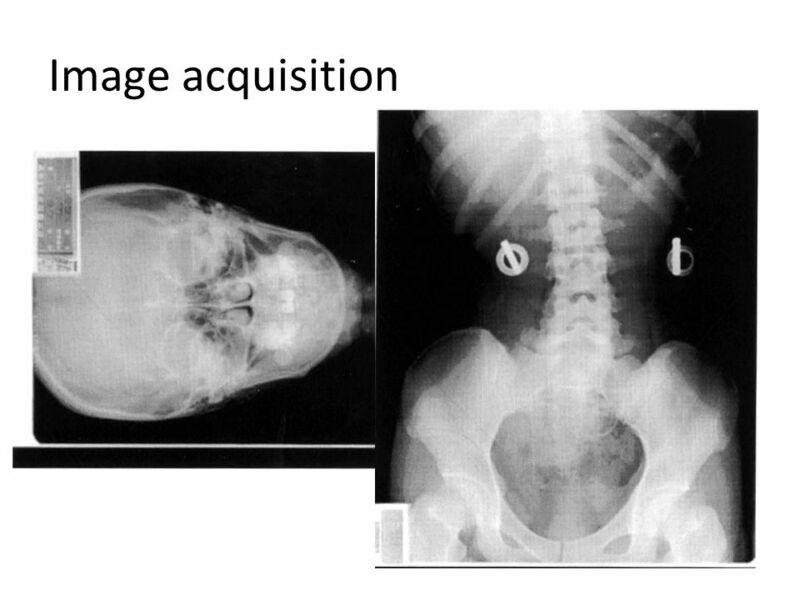 had been recorded in Hospital Information System or Radiology Information System database when their radiograph was taken. 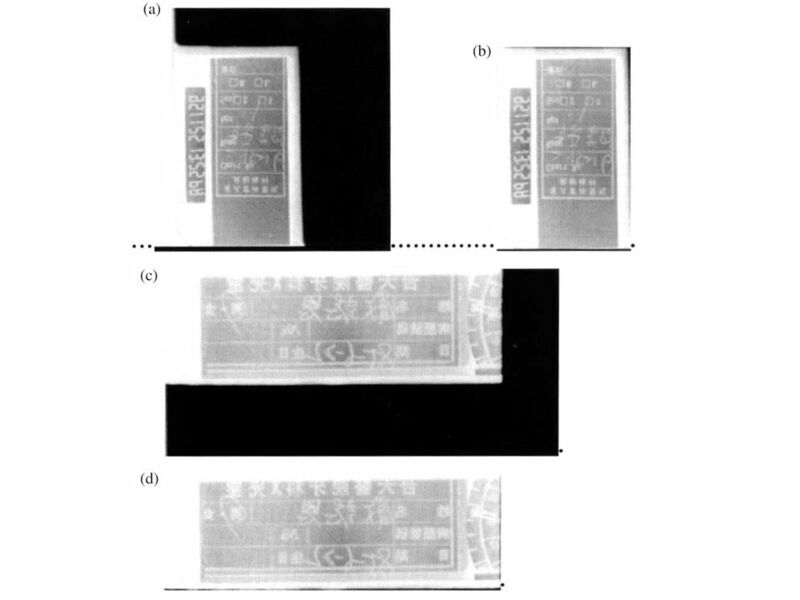 – The user needs to enter patients information right before or after each scan in order to file the digitized image, therefore, batch scanning of the films is impossible. 5 Patient information block search and extraction the patient information label is almost always attached to the corner of the film. 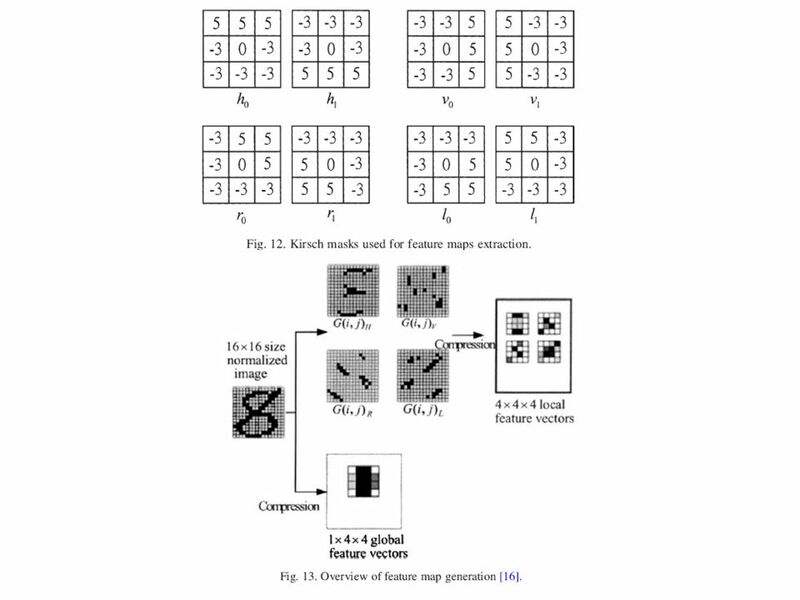 The reason this algorithm works is because human body is full of complicated texture and only the label area contains many straight field lines. 6 Label extraction our next step is to remove all these extra details and leave only the area of the label. The main technique used here is horizontal and vertical projection. We accumulate (project) all the white pixels on each row in the image to form a vector P H ; and collect (project) all the white pixels on each column in the image to form a vector P V. given a M * N (M pixels by N lines) binary image with for white pixel and f for black pixel. 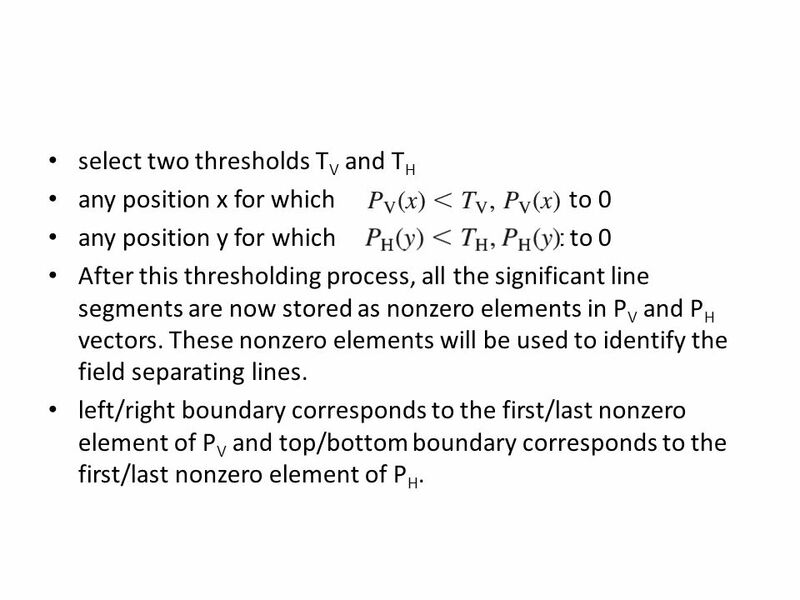 7 select two thresholds T V and T H any position x for which is set to 0 any position y for which is set to 0 After this thresholding process, all the significant line segments are now stored as nonzero elements in P V and P H vectors. These nonzero elements will be used to identify the field separating lines. left/right boundary corresponds to the first/last nonzero element of P V and top/bottom boundary corresponds to the first/last nonzero element of P H.
9 In the extracted region obtained above, there is extra white zone surrounding the label. 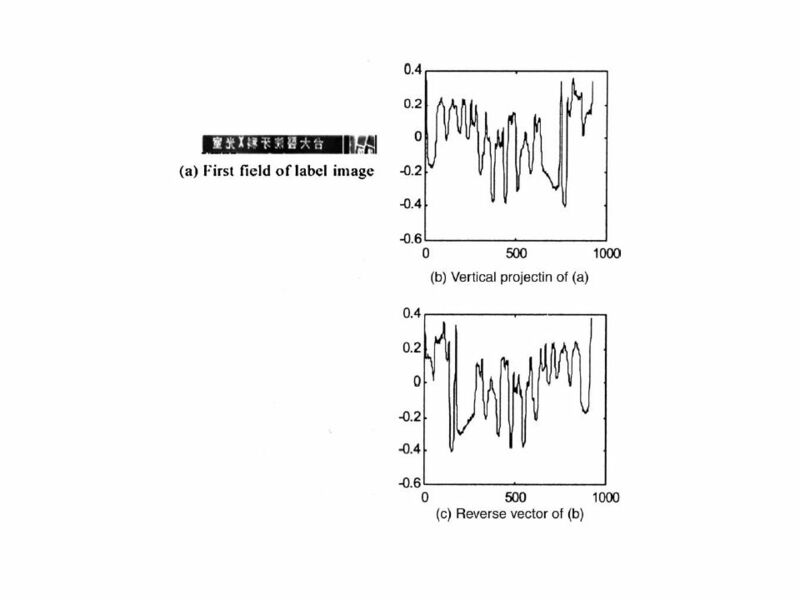 – (1) Thresholding the image that we extracted above, and result in a binary image. – (2) From the center of the binary image, search to the left, right, top, and bottom for continuous white pixels. 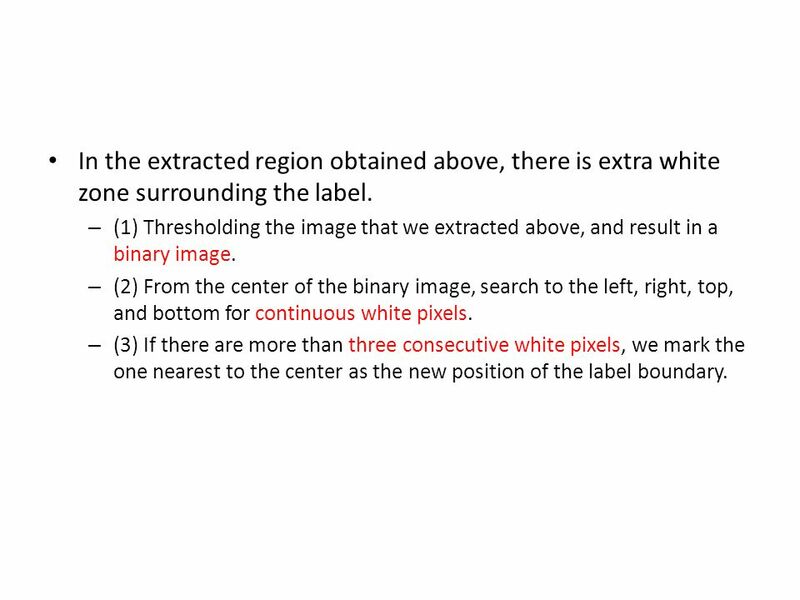 – (3) If there are more than three consecutive white pixels, we mark the one nearest to the center as the new position of the label boundary. 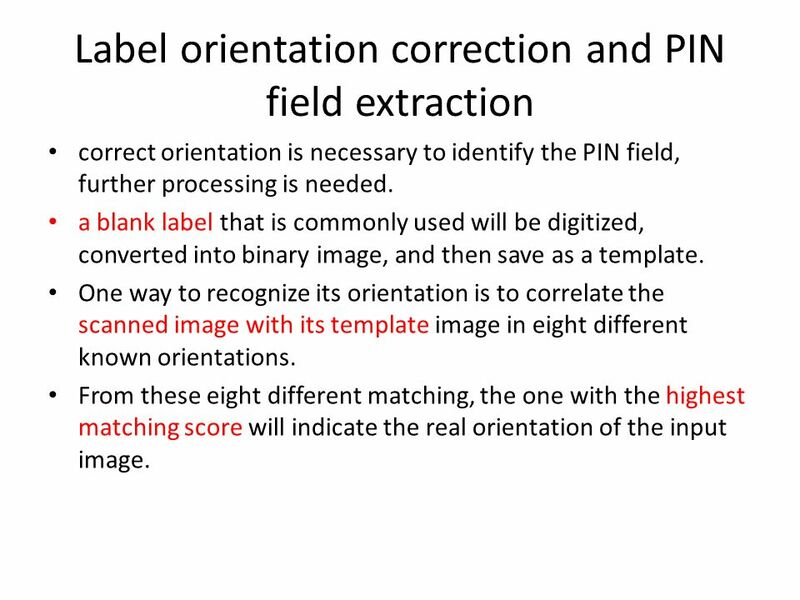 11 Label orientation correction and PIN field extraction correct orientation is necessary to identify the PIN field, further processing is needed. a blank label that is commonly used will be digitized, converted into binary image, and then save as a template. 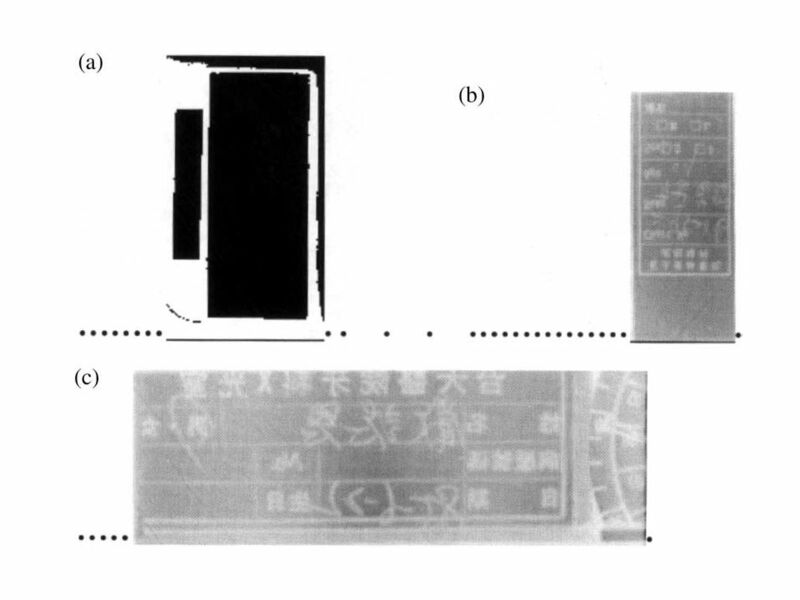 One way to recognize its orientation is to correlate the scanned image with its template image in eight different known orientations. From these eight different matching, the one with the highest matching score will indicate the real orientation of the input image. 14 Rotation The 90°-rotated condition is checked first. 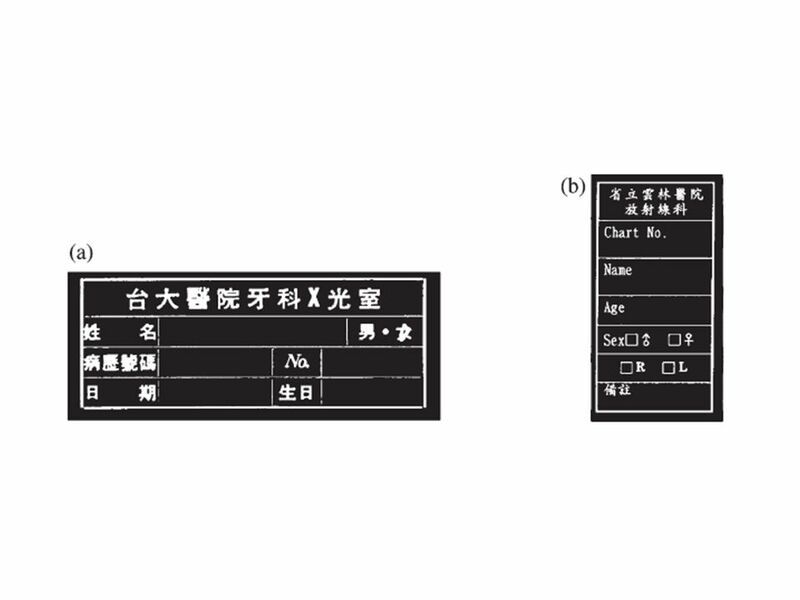 To avoid the interference from the written content, the first field of the label is used for matching. 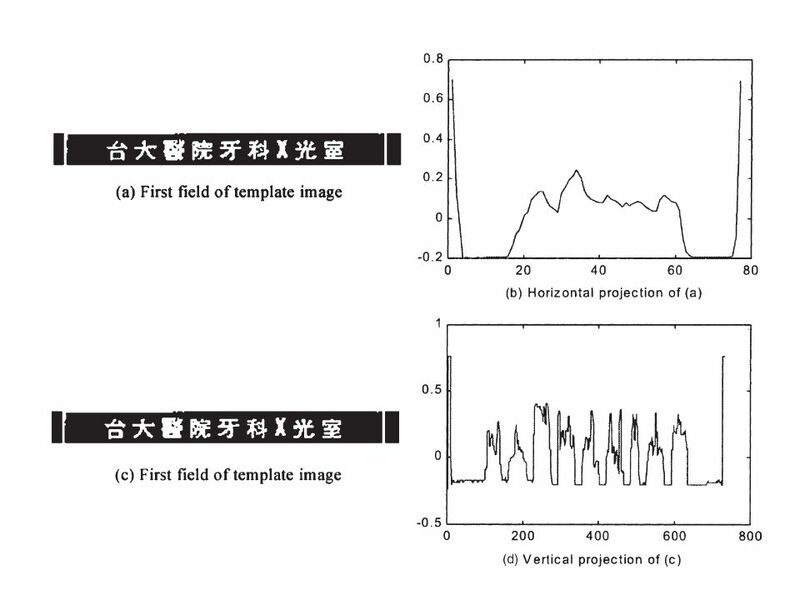 The vectors are used for checking if the scanned image needs a left/right flip correction. 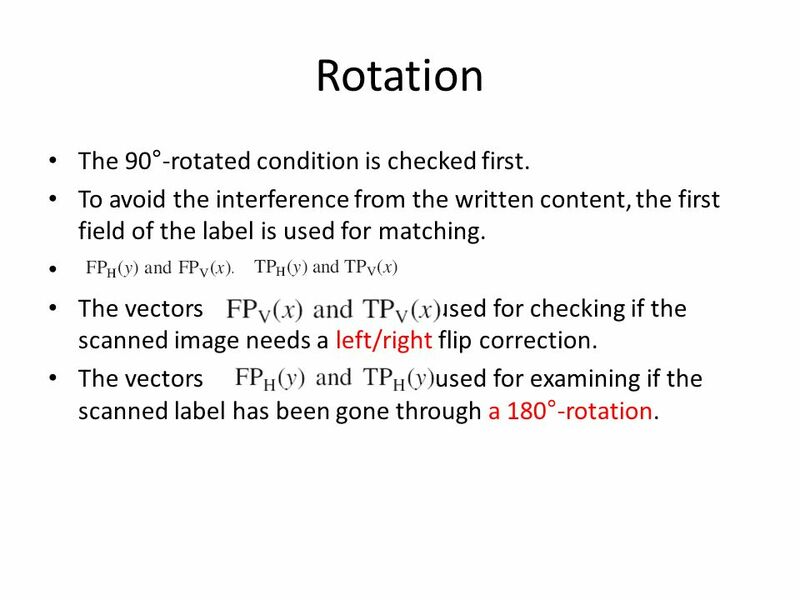 The vectors are used for examining if the scanned label has been gone through a 180°-rotation. 16 The correlation coefficients for vertical and horizontal directions are in the range from -1 to 1. 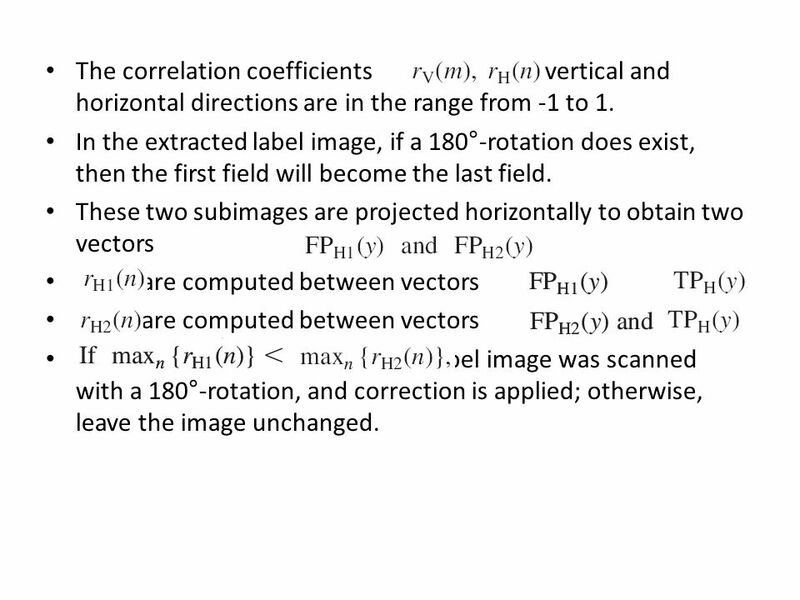 In the extracted label image, if a 180°-rotation does exist, then the first field will become the last field. These two subimages are projected horizontally to obtain two vectors are computed between vectors and are computed between vectors the label image was scanned with a 180°-rotation, and correction is applied; otherwise, leave the image unchanged. 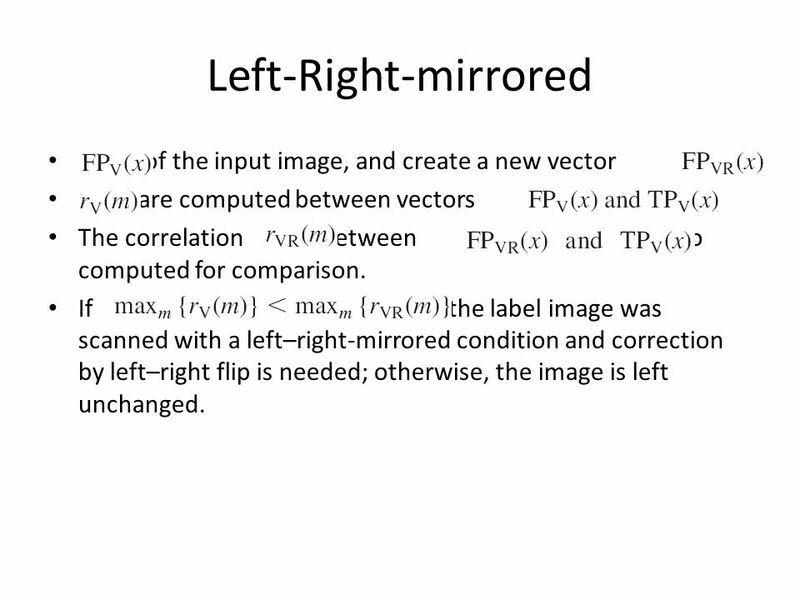 18 Left-Right-mirrored of the input image, and create a new vector are computed between vectors The correlation between are also computed for comparison. 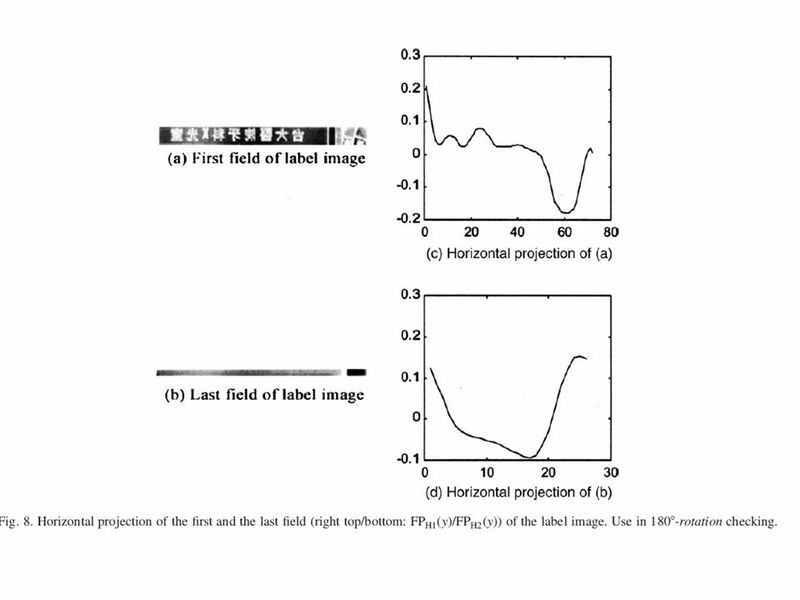 If then the label image was scanned with a left–right-mirrored condition and correction by left–right flip is needed; otherwise, the image is left unchanged. 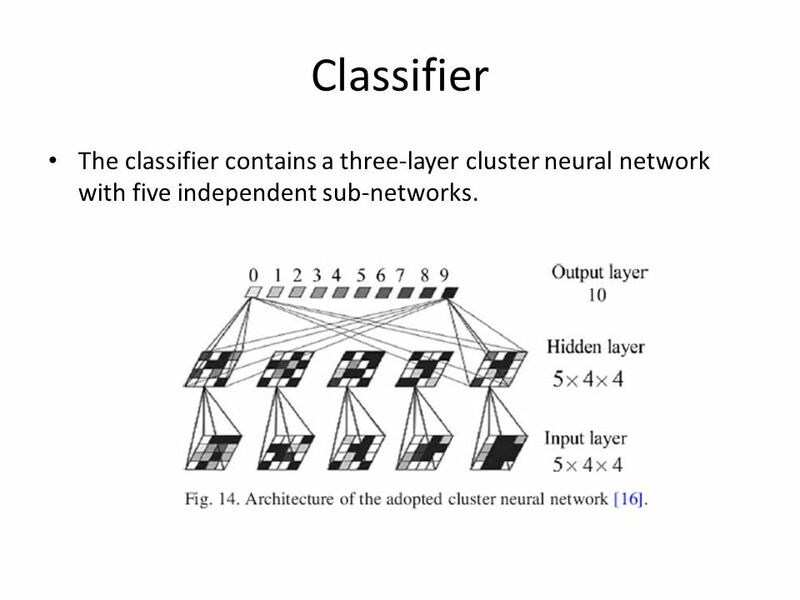 24 Classifier The classifier contains a three-layer cluster neural network with five independent sub-networks. 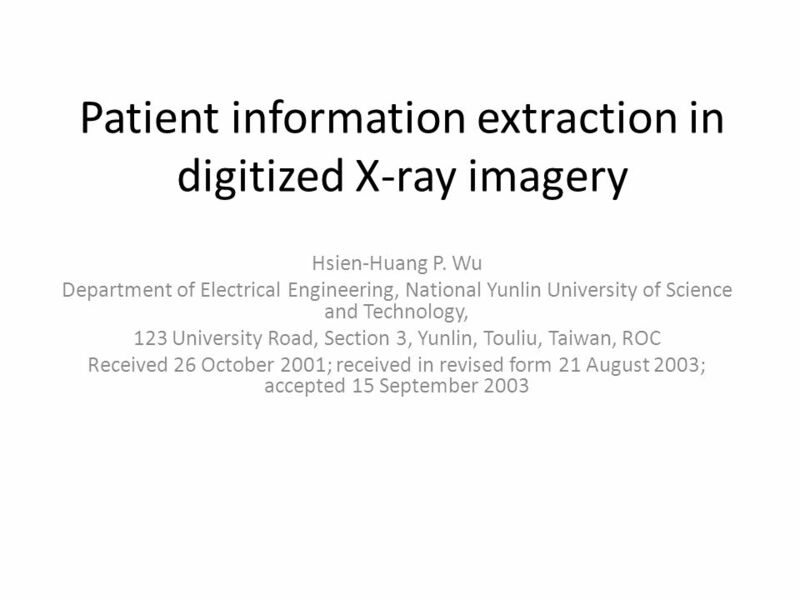 Download ppt "Patient information extraction in digitized X-ray imagery Hsien-Huang P. Wu Department of Electrical Engineering, National Yunlin University of Science." 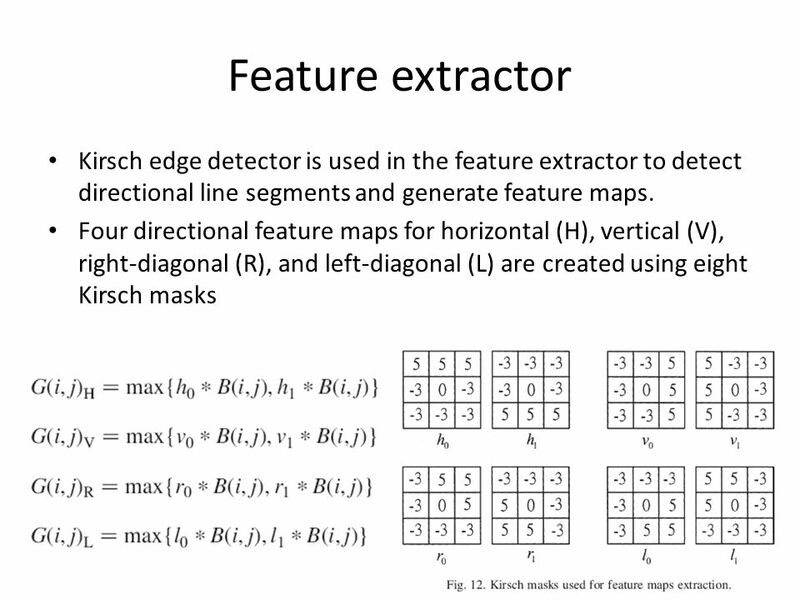 Object Recognition from Local Scale-Invariant Features David G. Lowe Presented by Ashley L. Kapron. Maayan Zehavi. Pic-a-pix is a paint by number logic puzzle, in which cells in a grid must be colored or left blank according to numbers at the side of. Automatic classification of weld cracks using artificial intelligence and statistical methods Ryszard SIKORA, Piotr BANIUKIEWICZ, Marcin CARYK Szczecin. 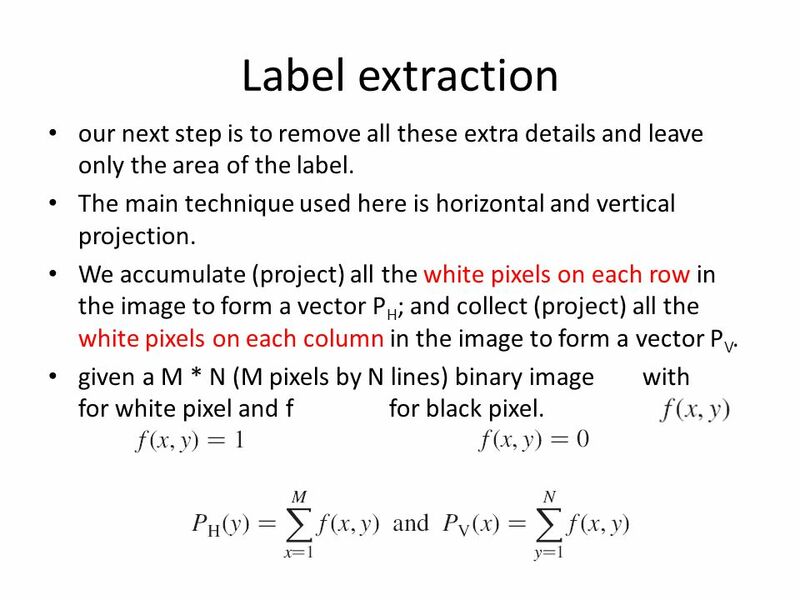 IntroductionIntroduction AbstractAbstract AUTOMATIC LICENSE PLATE LOCATION AND RECOGNITION ALGORITHM FOR COLOR IMAGES Kerem Ozkan, Mustafa C. Demir, Buket. Designing Facial Animation For Speaking Persian Language Hadi Rahimzadeh June 2005. Automatically Annotating and Integrating Spatial Datasets Chieng-Chien Chen, Snehal Thakkar, Crail Knoblock, Cyrus Shahabi Department of Computer Science. July 27, 2002 Image Processing for K.R. 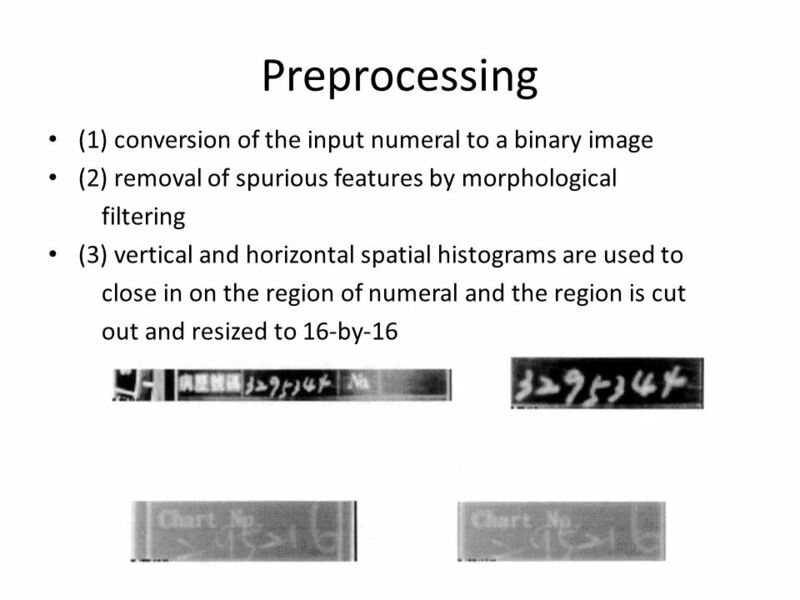 Precision1 Image Processing Training Lecture 1 by Suthep Madarasmi, Ph.D. Assistant Professor Department of Computer. 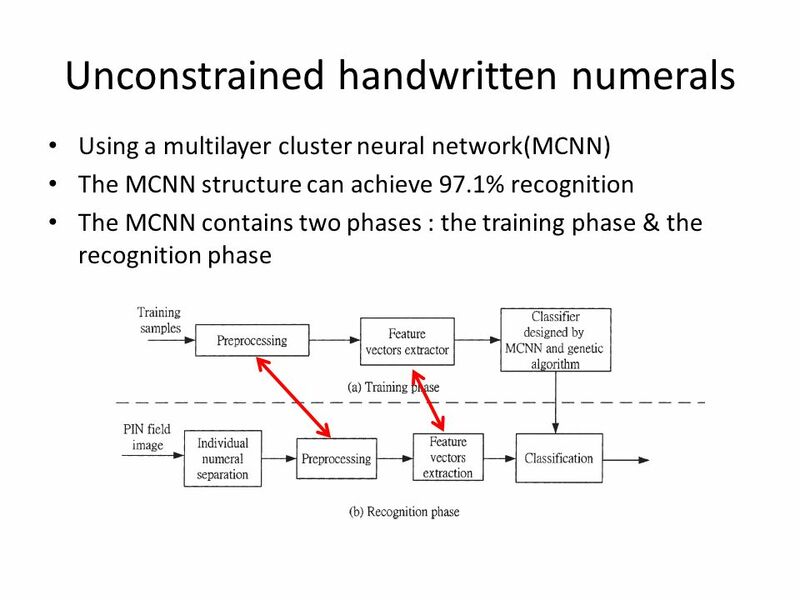 Chapter 8 Content-Based Image Retrieval. Query By Keyword: Some textual attributes (keywords) should be maintained for each image. The image can be indexed. 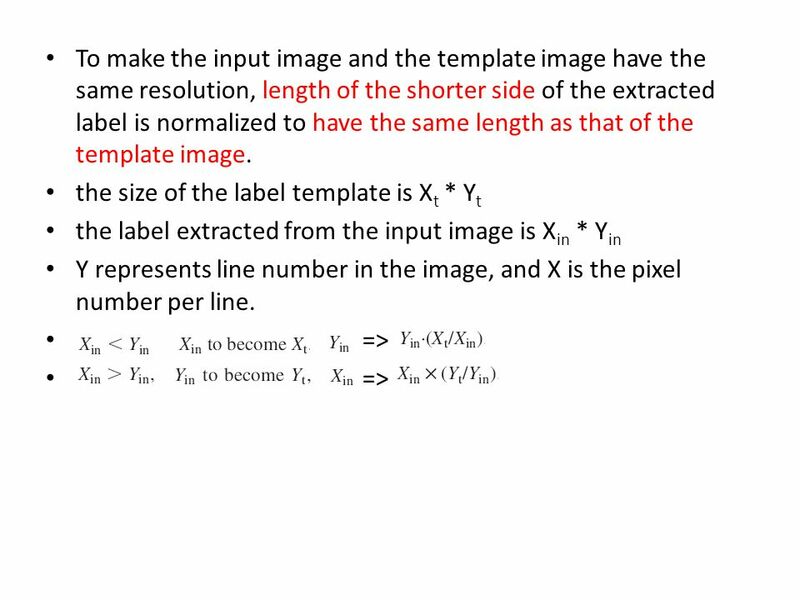 Image Indexing and Retrieval using Moment Invariants Imran Ahmad School of Computer Science University of Windsor – Canada. COMP322/S2000/L181 Pre-processing: Smooth a Binary Image After binarization of a grey level image, the resulting binary image may have zero’s (white) and. Chaincode Generation Contour separation extracted by algorithm Image Chaincode contour Represented as an array of coordinates and corresponding slopes.